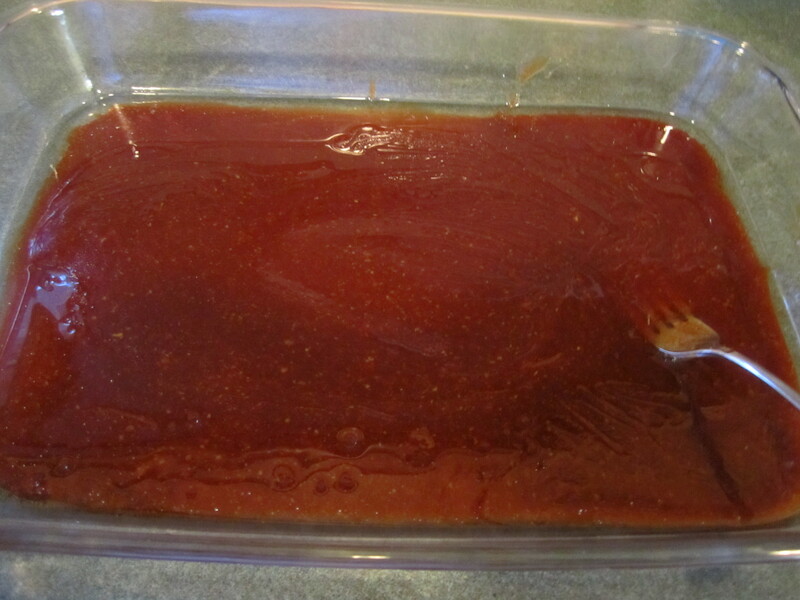 There should be one really good marinade in everyone’s repertoire and this one does it for me! I have looked at A LOT of other recipes but I just love the sweet and salty ingredient combination of this one. 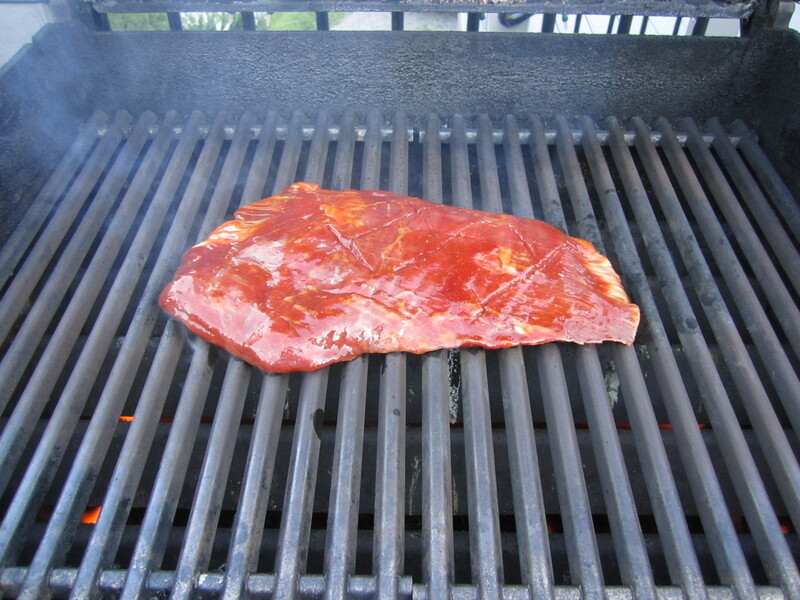 And for a less than tender piece of meat like flank steak, it does wonders. I originally obtained this recipe from my sister-in-law. I’ve made it so many times, I’ve memorized it because it only has 5 ingredients and all but 1 are in the same proportion. I modified it slightly to accommodate the ingredients I always have on hand. 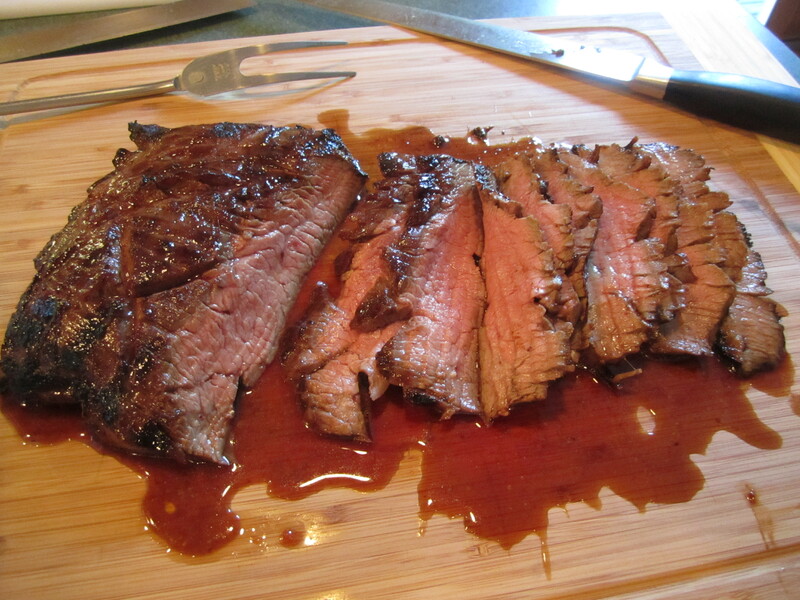 Not only is it great on Flank Steak but any steak really: NY Strip, Rib Eye, Skirt…. I’ve also tried it on boneless skinless chicken breasts. Delicious! 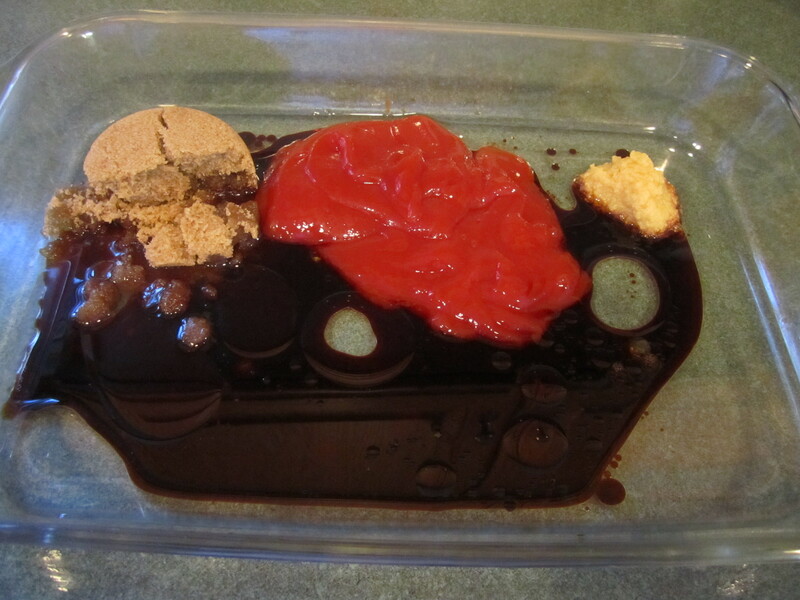 Combine all ingredients in a glass, 9 x 13 inch baking dish. Stir with a fork, using the fork to mush and smash the brown sugar to combine with the other ingredients. 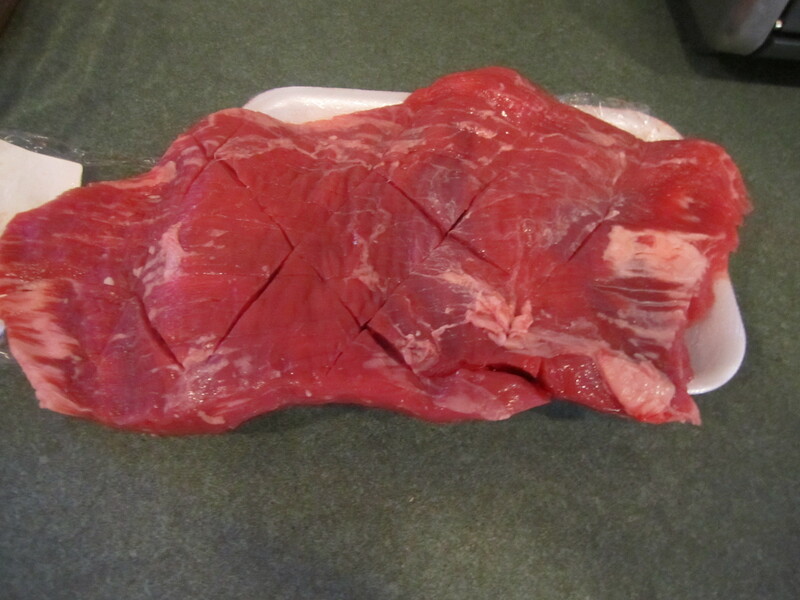 Take the steak out of the package and put it on top of the packaging. ( Making this recipe a zillion times has driven me to stream line the procedure. For your first time, please feel free to put the steak on a cutting board.) and score it diagonally from one side and then from the other side, so that you have a diamond pattern. Try not to go deeper than a 1/4 inch into the meat. Repeat on the other side. This keeps the flank steak from curling up from the ends when you cook it. It’s an important step. 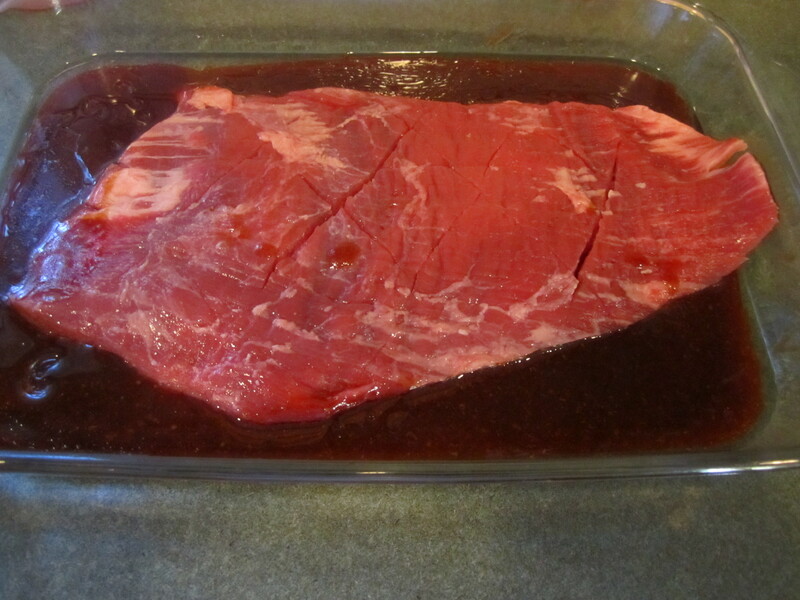 Using the fork, place the steak in the glass dish with the marinade. Coat one side and then flip over and coat the other side. Cover with plastic wrap and refrigerate for a minimum of 2 hours and up to 8 hours. 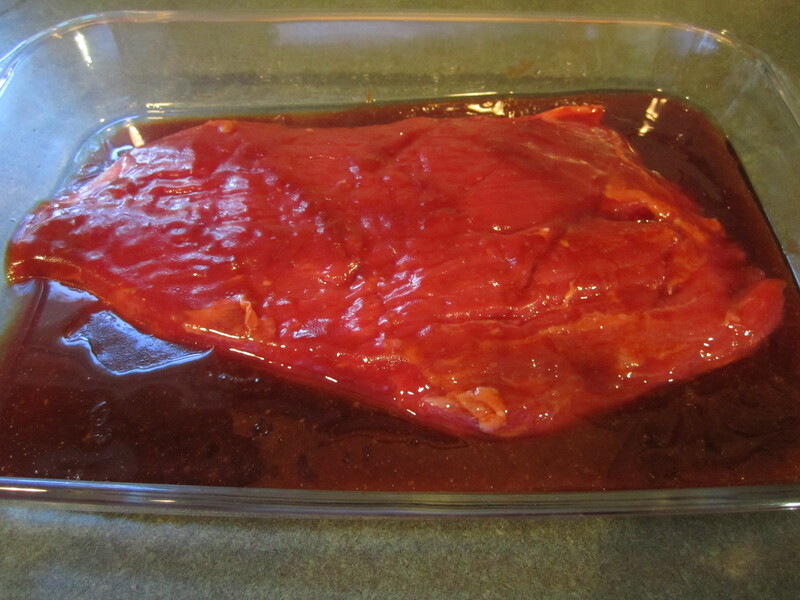 One hour before ready to cook steak, take out of refrigerator and leave at room temperature. Prep grill ( see Grilling post). 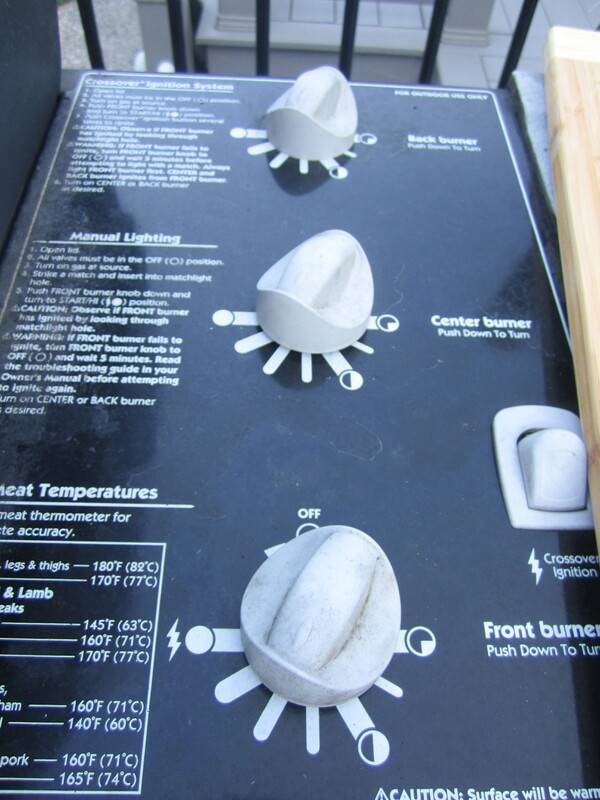 When grill is ready and clean, reduce heat to 2 notches below high. 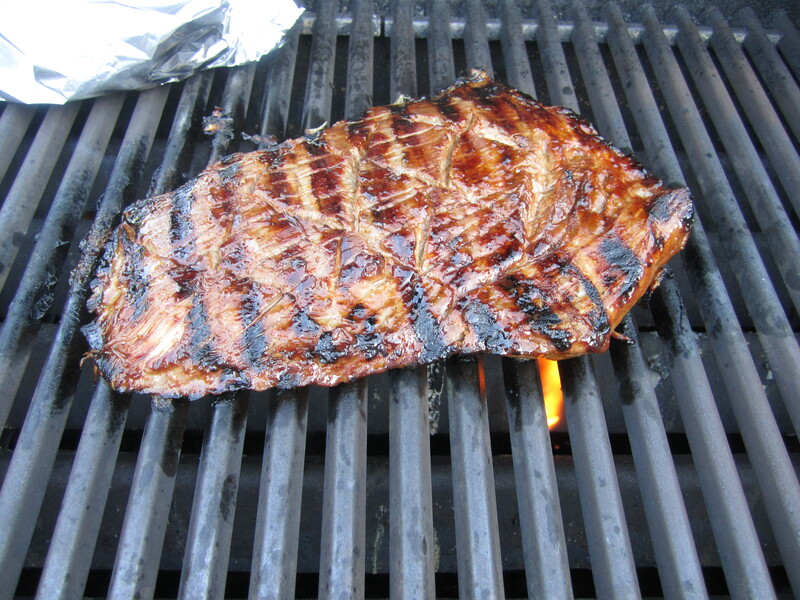 Take steak out of marinade and place directly onto grill. Put hood down and cook the first side for 4 minutes. After 4 minutes, raise hood, turn steak, put hood down and cook for another 4 minutes. (The time may vary according to the size and thickness of the steak. If you have never grilled steak before, this will be a learning experience. I can only tell you that it’s better for the steak to be underdone than overdone. 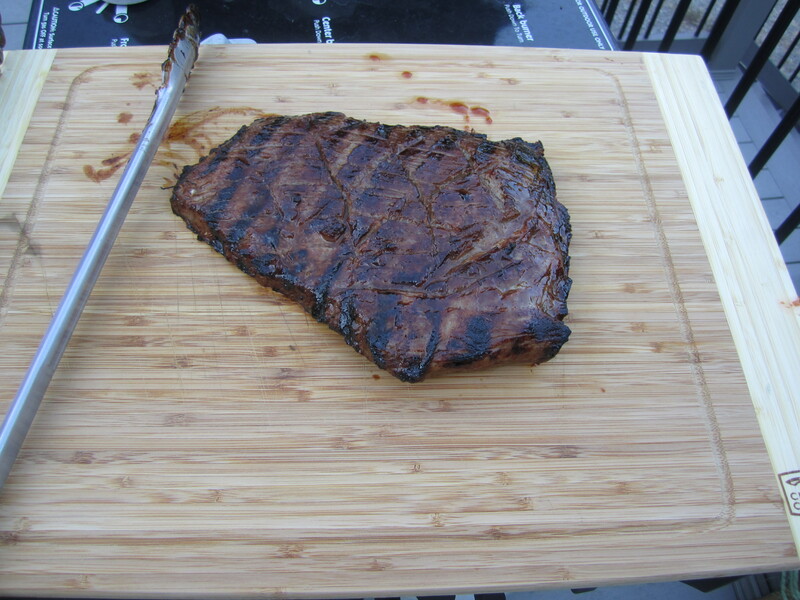 You can always cook it a little bit more, but once it is overdone, well, there is no turning back…..) When steak is done, remove from grill onto a cutting board. Let steak rest for at least 5 minutes before cutting. 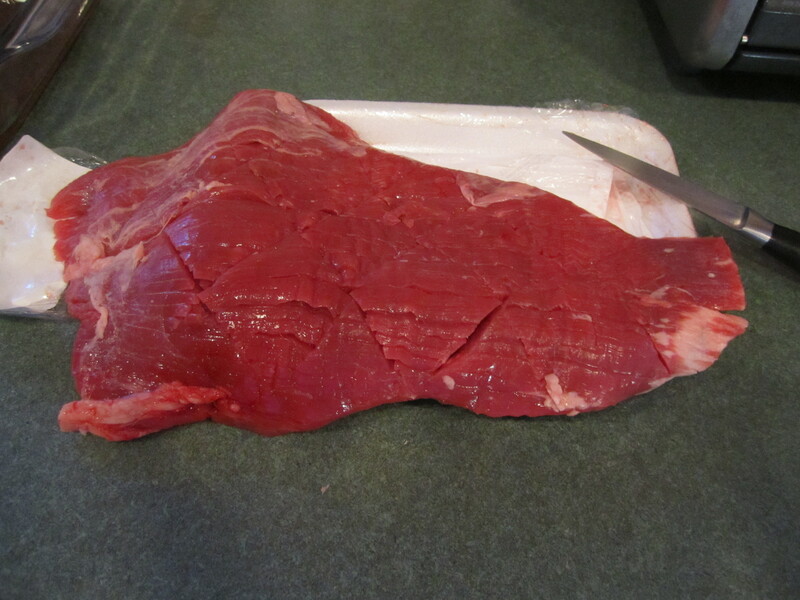 To serve, cut steak against the grain, into as thin as possible pieces. Leftover steak can be made into a delicious sandwich: warm cut pieces ever so slightly in a very hot fry pan, with a spray of canola oil. Serve on a roll or piece of crusty Italian bread with sautéed onions. You can also melt cheese on the top for a take on a Philly Cheese Steak. I have also cooked the steak just for sandwiches, served on Italian bread with coleslaw ( My Mom’s Coleslaw) and ripe juicy tomato slices. Absolutely yummy! Cold, leftover steak makes a great salad: cut up slices into bite-size pieces and put over mixed greens. Add leftover cold vegetables (like roasted potatoes, green beans, corn….) and serve with your favorite salad dressing! That would make some great steak Tacos!!! Had it for a party and got HUGE reviews! THANK YOU!! !